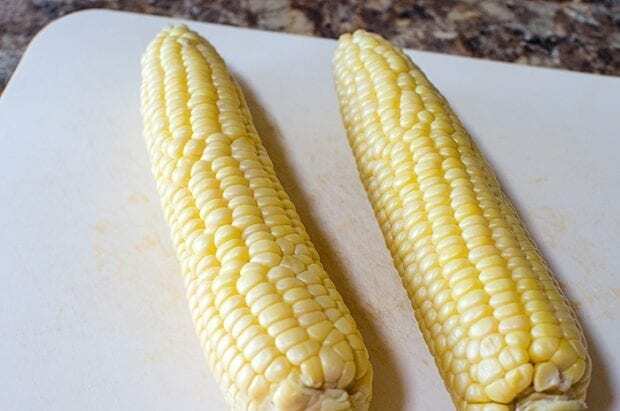 It's grilling season and it's time to break out my favorite summer side dish, CORN! 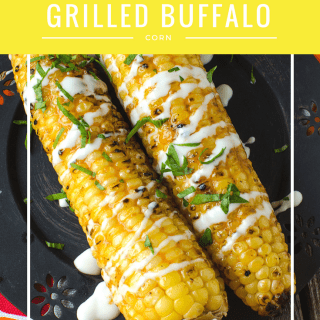 Grilling corn is one of the best ways to eat it and this Grilled Buffalo Corn with Ranch Drizzle will be a hit at your next BBQ. I'm pretty bummed out that our grill kicked the bucket last year and we still haven't replaced it. We've been grilling on a tiny camping grill because you just can't be without a grill. Not in my house anyways. Our garden is doing great also. I begged my husband to plant corn again this year because fresh corn from the garden is the best! Our garden is also organic and we take special care of it. We caught a squirrel eating one of the ears of corn and we sent the dog after him. We don't mess around when it comes to our garden! I've also lucked out that my kids aren't picky eaters and love trying new things. JaMonkey loves spicy food now also so this corn was a good choice. 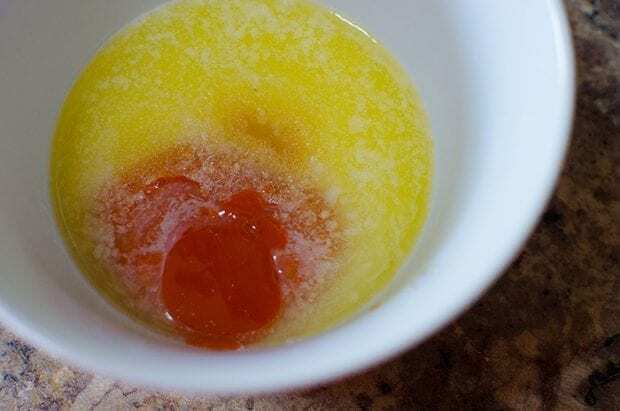 Blend your butter with your favorite buffalo hot sauce. Make sure that it is mixed really well. Start roasting your corn. 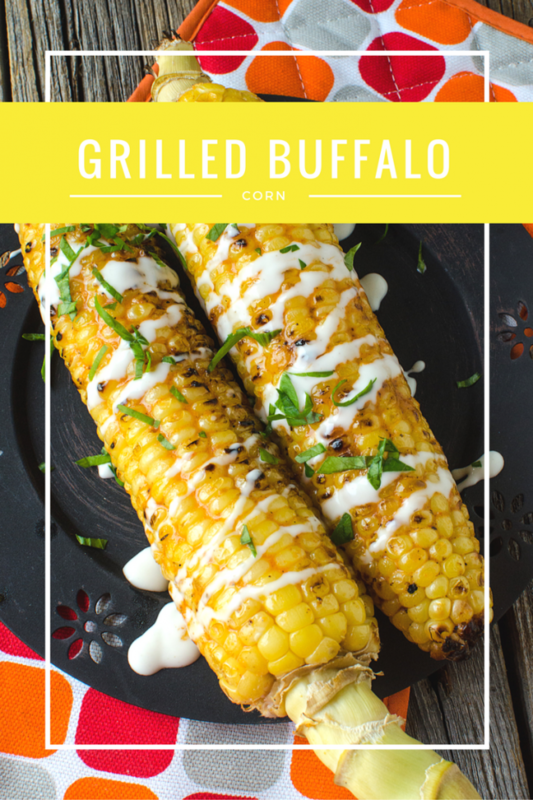 After a full turn on the grill, start basting with the buffalo butter sauce. Continue cooking until the corn is caramelized. 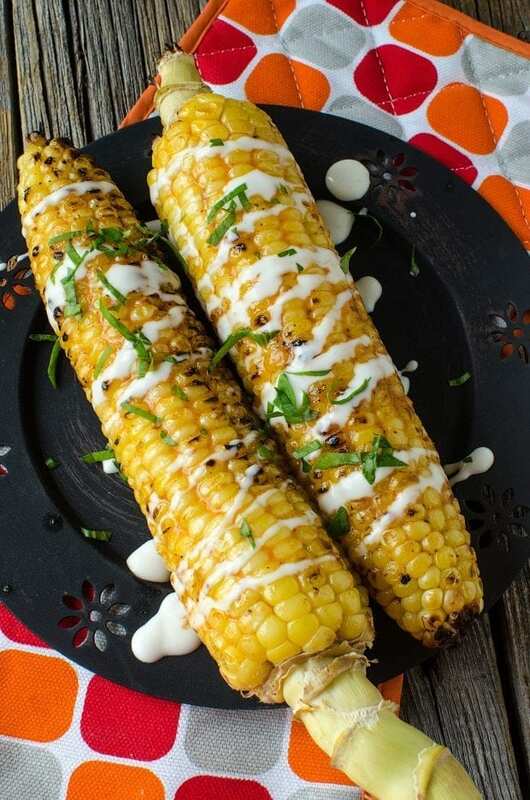 Drizzle with the ranch sauce and sprinkle some fresh cilantro or parsley on top. 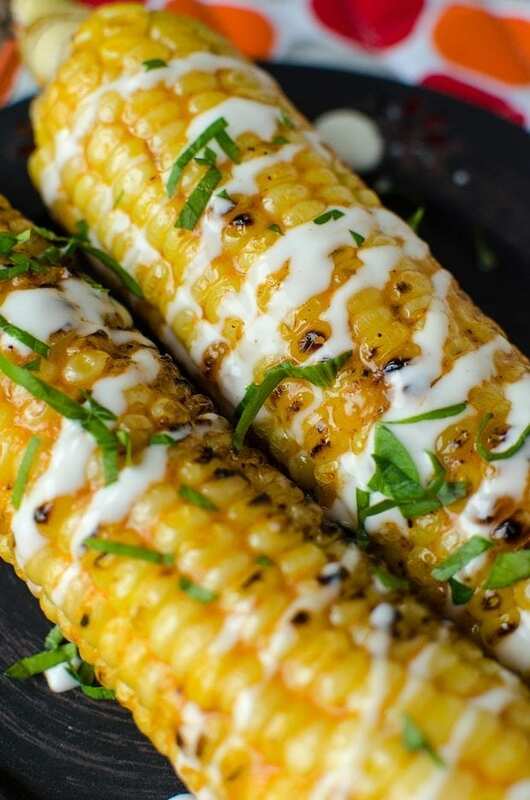 I could make an entire meal out of grilled corn. My husband used to go to a corn festival where you got to husk, make, and eat corn until you were sick. I would love to do something like that. 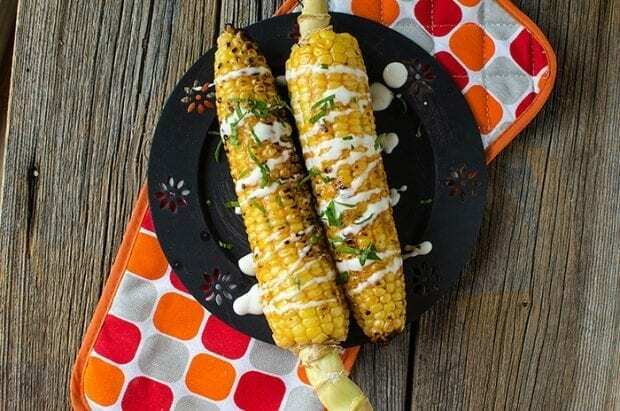 When you’ve completed a full rotation, begin by basting the corn with the hot sauce mixture. 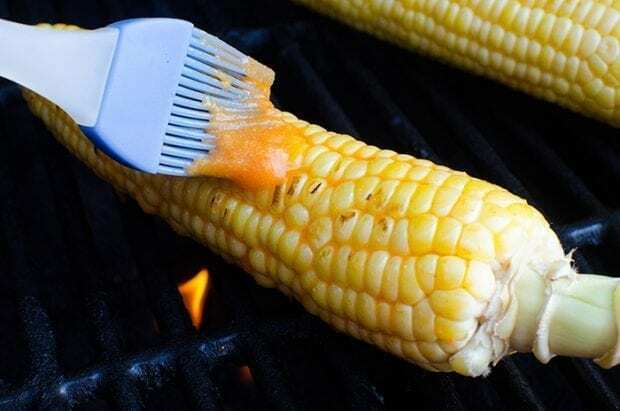 Continue until the corn is caramelized and cooked through. Remove from grill and place on serving plates. Drizzle with ranch dressing and sprinkle with cilantro or parsley if you wish. 1 tbsp of hot sauce is an approximate measure. If you like heat, then add more sauce, if you prefer a tiny bit of heat, use less sauce. Season according to your preference.